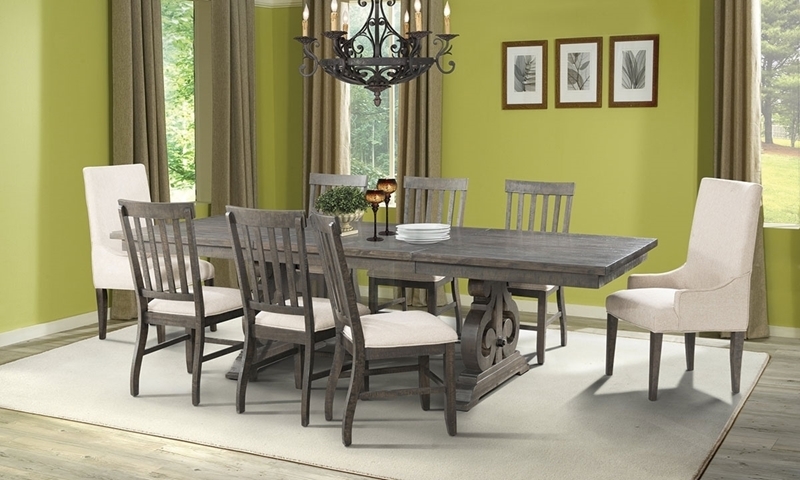 Give your dining room a tasteful new look with the Stone collection. This set comprises a table and four side chairs crafted with acacia veneers in a charming dark ash finish. Graceful reverse scroll trestles support the 76-inch table top, capable of extending up to 112 inches with two included drop-in leaves. Four lath back side chairs complete this five-piece group, each flaunting a cushioned seat tailored in light, linen-look upholstery. Art for illustration: Set includes table and 4 side chairs.